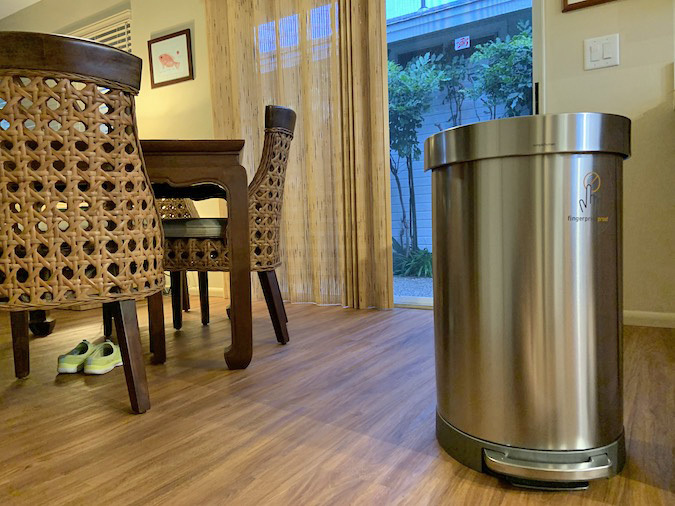 For the past 3 years, I have not been thinking about acquiring the best kitchen trash can. I’ve just been annoyed with the one we have. Every time I try to pull a full bag of trash out of our kitchen trash can, the sides of the garbage bag swell and stick to the can. This is the kind of can with a metal square lever that lets you tuck the edges of the trash bag under it, but the sides of that poke holes in your trash bags.